Custom OPA banner (closed state) as part of homepage roadblock promotion. Custom OPA banner (open state) driving users to custom content page. 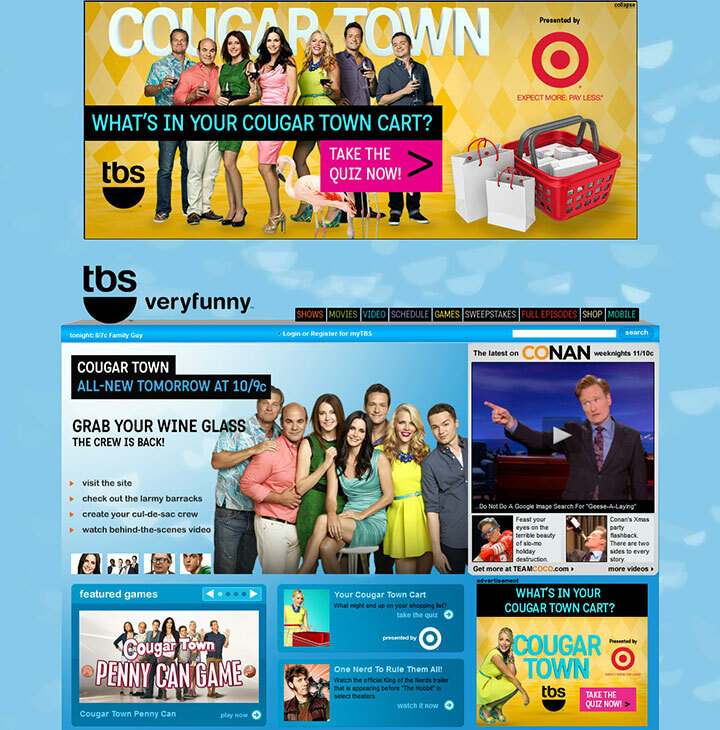 Co-branded promotion featured on Cougar Town microsite carousel. Custom Quiz with “presented by” logo unit, Intro Screen. 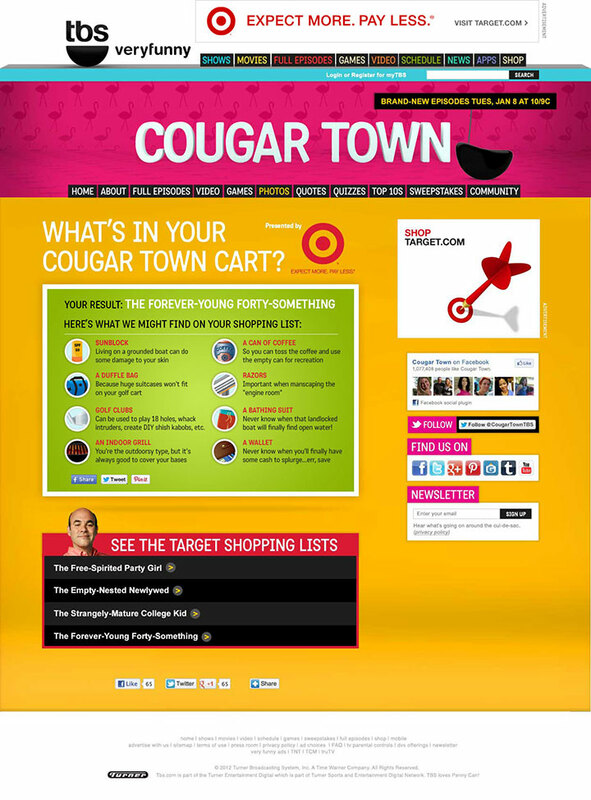 Users answer multiple questions and based on their answers arrive at a Cougar Town personality. 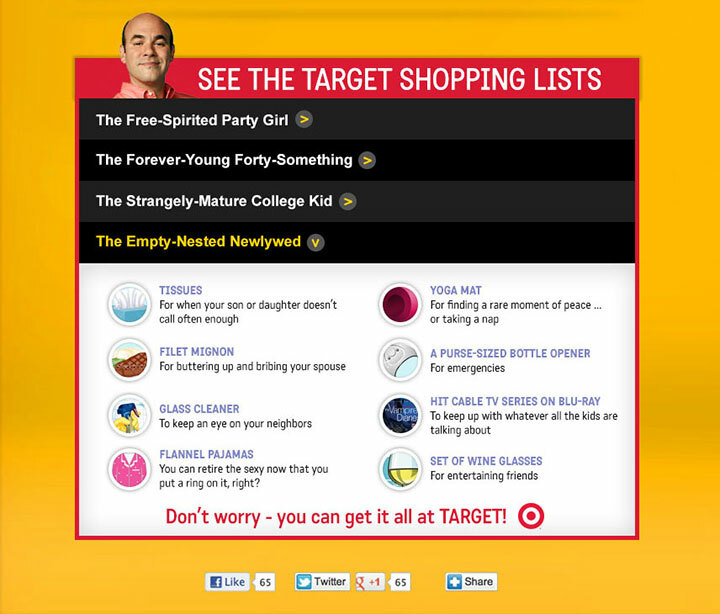 Results of quiz, aligning the user with a personality and list of Target products. Close up of accordion list in expanded state, revealing all quiz personality results to user.